I prefer using google chrome to preview my work but in 2.3, google chrome is not picking up. 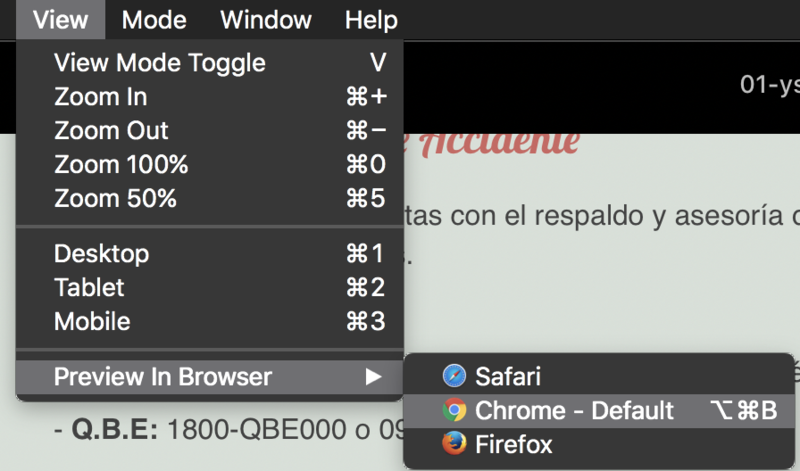 Firefox and Safari works fine. No problems here… almost always use Chrome. same here with all browsers. Safari, Firefox, Chrome, Opera Neon, Cliqz. I just noticed a problem last night. I’m working off my network drive at home, my project’s images are stored there (realized Blocs doesn’t copy over the images to the local directory, but just points to them). I was not able to connect to the drive when I last checked my project, and got a message on Blocs saying it couldn’t find my images so I had to close Blocs, make sure I was seeing the network HD and then re-launch it. This time it opened the project with the images showing, but when doing a preview in Chrome, it showed a broken link to all images. I cleared all history/cache on Chrome but still can’t get it to show the images (that I’m now able to access). problem last night. I’m working off my network drive at home, my project’s images are stored there (realized Blocs doesn’t copy over the images to the local directory, but just points to them). I was not able to connect to the drive when I last checked my project, and got a message on Blocs saying it couldn’t find my images so I had to close Blocs, make sure I was seeing the network HD and then re-launch it. This time it opened the project with the images showing, but when doing a preview in Chrome, it showed a broken link to all images. I cleared all history/cache on Chrome but still can’t get it to show the images (that I’m now able to access). I’m looking into this problem today, stay tuned for more news. I ended up fixing my issue by moving the image files from the network drive to my macbook’s drive. Now I can see all images displaying properly when checking on my browsers. Are you having the missing assets or chrome not showing as a preview option? Missing images or chrome not available to preview in? The preview is not being opened in Chrome when selecting it from the preview sumenu. Nothing happens!